Happy October! I’m so excited it’s October aren’t you? Not so much because I’m a Halloween fan or anything, but more because my holiday decorating whims are a little more justified. The stores near me have already had their fully set up and decorated CHRISTMAS TREES on display for several weeks now….WHY?! I have no idea why, but whatever, they are up. Today’s inspiration board is for those of you with little monsters of your own. I thought hosting a “monster bash” for the little ones would be soo adorable! I could just imagine a room full of cute little monsters running around….Anyways, staying focused! I think this would be a wonderful theme for a birthday celebration, or just a traditional Halloween party. 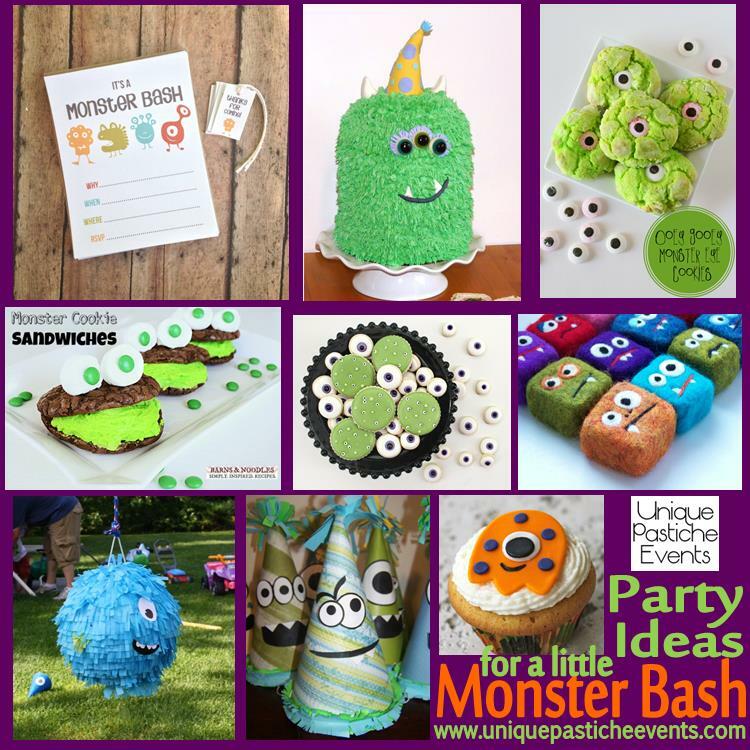 But honestly, as a grown adult I would totally go to a cute-sy monster bash! Wouldn’t you? What would your monster alter-ego look like?